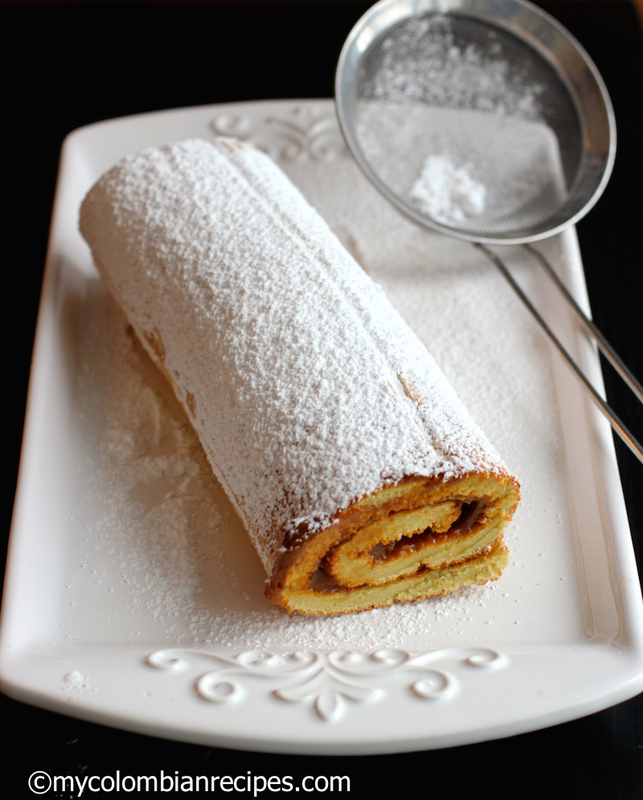 Pionono also known as Brazo de Reina is a popular dessert in Colombia and other Latin America countries. There are many variations of the pionono, but it is generally filled with fruit preserves, puddings or whipped cream combined with fresh fruit, but you can also experiment with your favorite filling. A couple of days ago I opened a jar of dulce de leche to make some cookies. I had some leftover so I decided to make my pionono using some of my favorite ingredients, coconut and arequipe or dulce de leche, as it is known outside of Colombia. Line a 9 x 13 brownie pan with parchment paper. Place the egg whites in a large clean bowl and with an electric mixer, beat until form soft peaks. Gradually add the egg yolks, one at a time until combined. Add the flour, vanilla extract and sugar and mix until well combined. Spoon the mixture into the prepared pan, spreading evenly. Bake for 15 minutes or until golden. Mean while, spread out a sheet of parchment paper or a wet towel . Turn out the cake onto the paper or wet towel . Roll up the cake loosely from one short side, with the paper inside. Let it cool. Unroll and remove the paper. Spread the dulce de leche and sprinkle coconut flakes over the cake. 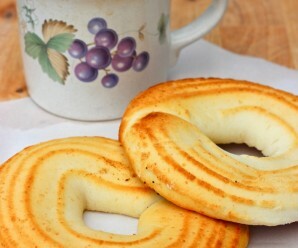 Roll up and dust with powdered sugar and serve. Drool!!! :P”””””” I love dulce de leche…and coconut. This looks decadent! I will make this soon! I just made a pumpkin roll, and it’s filled with cream cheese filling! This sounds great though! Wow – I’ve never seen anything like it before. Sounds really tasty and unique. 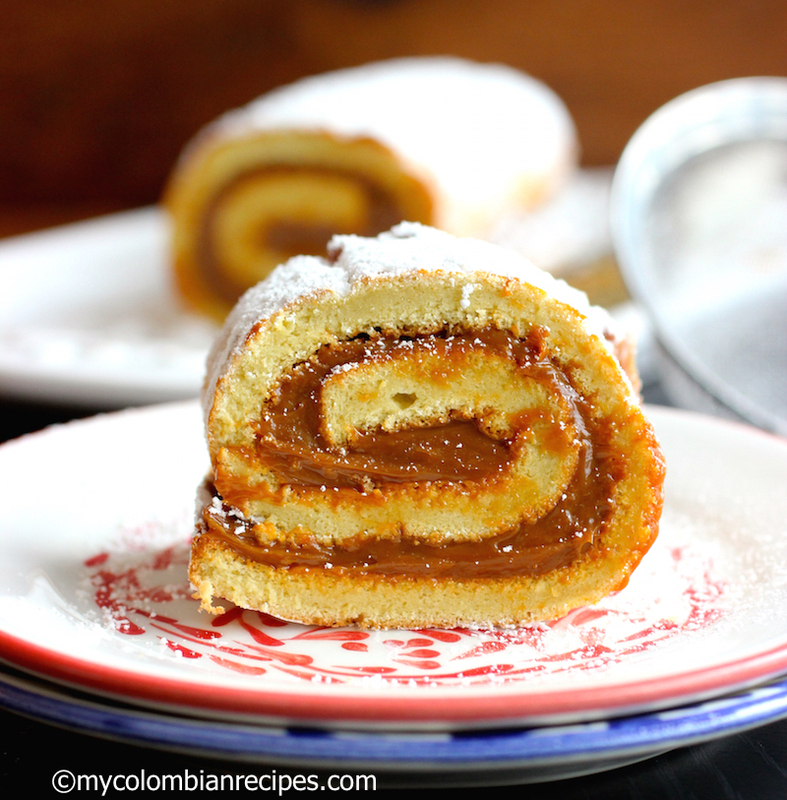 My grandma used to make rolls like this with jam and I’m loving yours with dulce de leche & coconut, perfect! Looks delicious! I love anything with dulce de leche. I love filled, rolled cakes. This one looks to die for. Erica, eso tiene que estar buenísimo. Creo que con un trocito no tendría bastante. You have so many yummy recipes that I didn’t know where to start looking! 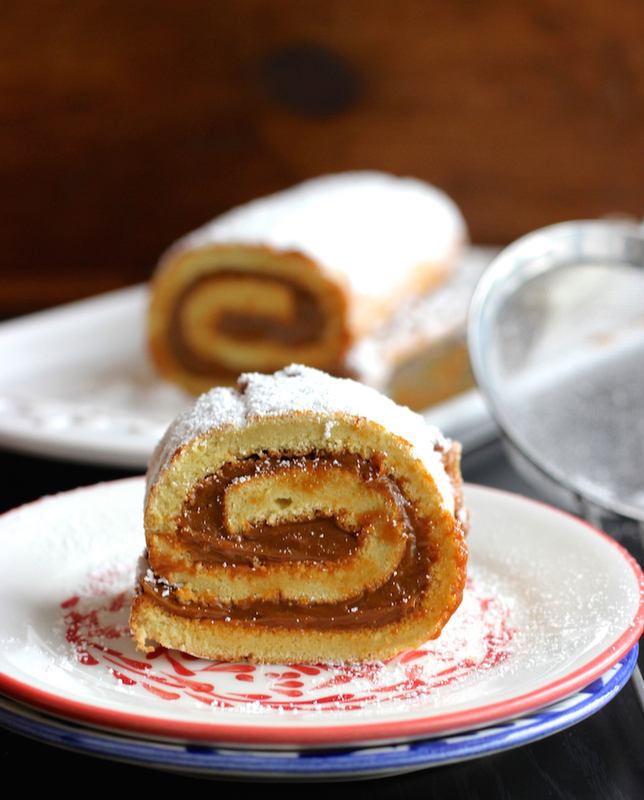 I absolutely love Swiss roll cakes, and can just imagine how amazing the dulce de leche and coconut tasted together. 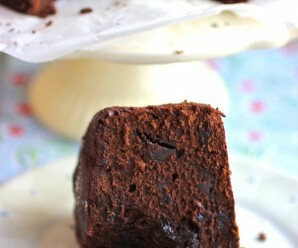 Now I’ve got a huge craving for a Swiss roll cake! oh my goodness! what a beauty!! I have never made rolls, & I don’t think I am even capable of making such pretty ones. 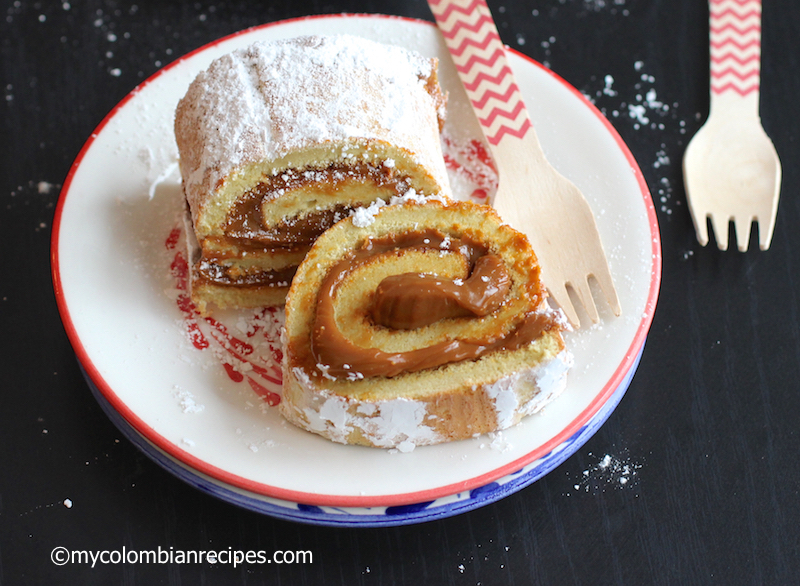 A fruit-filled roll sounds delicious but I would never be able to turn down this wonderful dulce de leche one! Your recipe looks so easy to make, there’s no excuse for me not to make this. Wonderful! Will this cake work with a whipped cream (chantilly) and strawberries inside? Jackie- Yes you can use any filling!That sounds delicious. I made this roll yesterday for my friends, but I filled mine with orange preserves and it was perfect and delicious. 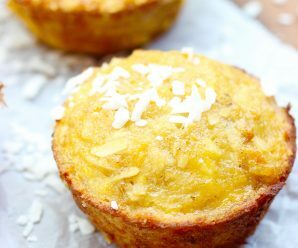 I made this recipe 3 times and it worked perfect and delicious! I made this roll for my son’s party yesterday and we loved it! It was a hit……Thank you so much. I will make this one again. I had the same problem with the wax paper; the roll did not come out from the wax paper, it was quite disappointing!! I guess I will try it again another day baking it without the wax paper. also the roll began to break. if you can make it, then it can be done. Isabel- Next time use parchment paper! Erika I tried your recipe! I’m happy I did! I can’t believe It worked! It was so easy and yummy! Tks!! Loved your site! 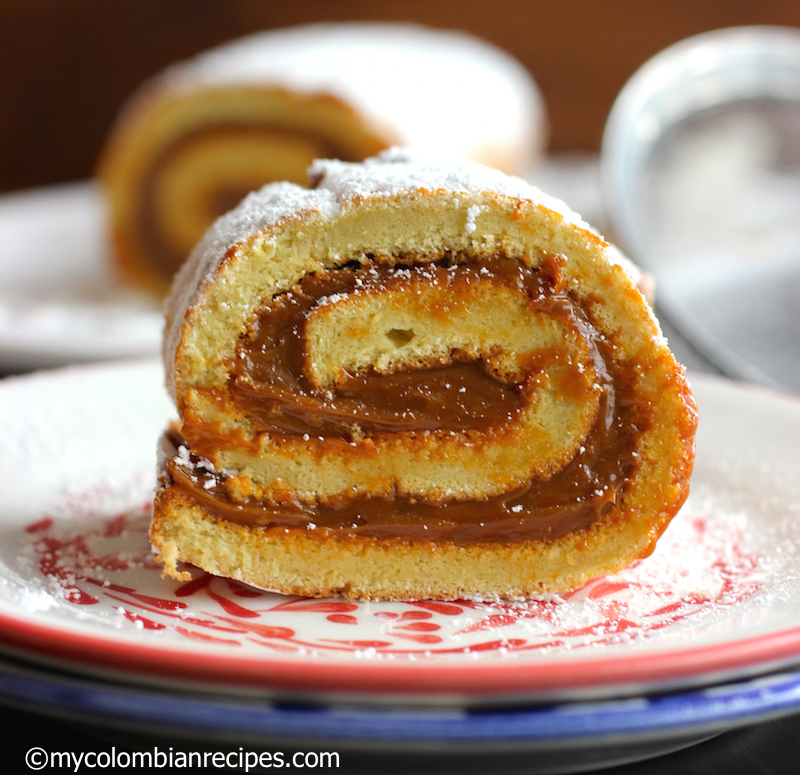 I made this roll and the dulce de leche recipe and they were fantastic….Thank you so much for posting this. I’ve made this at least five times and the results have always been amazing. This recipe is wonderful. So easy to make, it come out perfectly every time and great flavor. Those folks who had no-so optimal results should check their ovens. A keeper! I have attempted this once so far and the roll it self came out very bubbly and stuck to the wax paper. However I will say the little we did get off was very good. I am going to try it again and hope it comes out like the one pictured! I just tried the pionono with crushed roasted almonds and coconut, as well as arequipe and cream! What a treat!! oh erica! i love everything about this! no kidding, this has the potential to be my favorite dessert of all time, and it’s beautiful too!